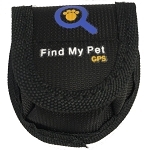 The most secure way to attach the Find My Pet GPS to a collar is to use the plastic holder. 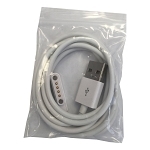 You will need a collar that has a removable clasp or buckle to use this method. 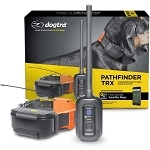 Lift the clasp and with the logo on the Find My Pet facing down, align the On/Off button on the device with the opening on the holder and snap the device into the holder. 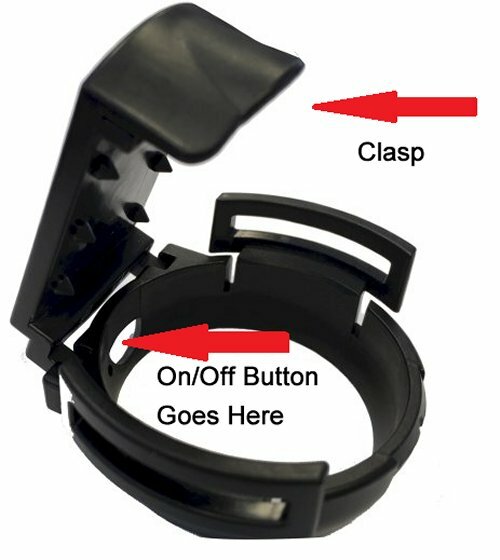 The clasp is designed to come off so do not worry that you have broken the holder. Before closing the clasp, thread the collar through the rectangular “loops” on the holder. 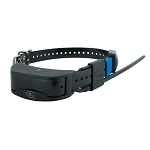 Position the device where you want it on the collar and close the clasp to hold it in place. Replace the clasp or buckle on the collar and place the collar on your pet.